Nationals Park announced this afternoon that you won’t have to suffer in transportation hell in order to go see Dave Matthews Band at Nissan Pavilion Jiffy Lube Live or Merriwether Post Pavilion. 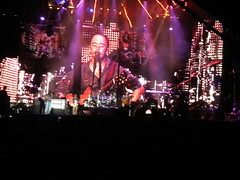 Instead, Dave Matthews Band, and their opener Zac Brown Band, will be playing at Nats Park on July 23rd, this summer. Tickets will go on sale at the end of February. This will be the second concert event at Nats Park, and probably the most crowded since the Pope said mass there in 2008. Does anyone know if lawn chairs are allowed for field seats? I can’t find anything that talks about the do and don’ts!